I’m sitting on the couch and looking out at the world while having this Acai Berry Bowl. How much peaceful can my Sunday be? Enough reasons for you not to scroll pass this Acai Bowl Recipe. The first time I had an Acai Bowl, I was mind blown. It was not just a “wow” moment, It was more like “WHOAAA”. Yup, that good. 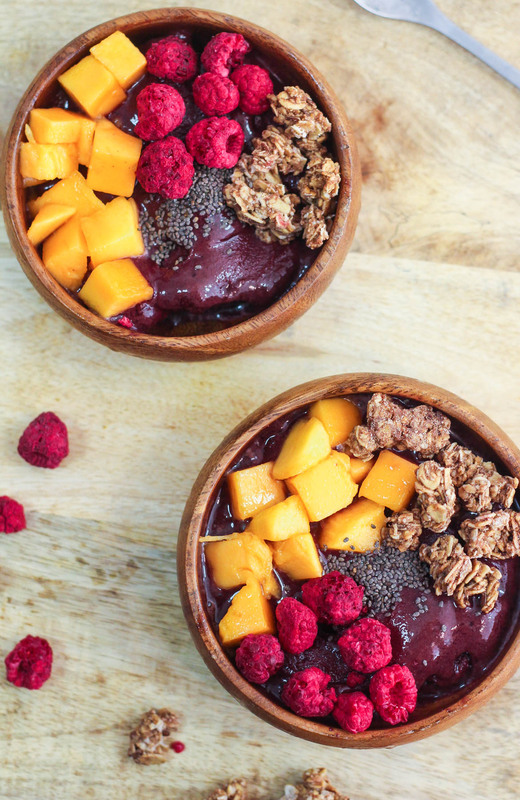 Most of you must have seen these Acai Bowls trending on Instagram and Pinterest. It is pronounced as ah-sigh-EE btw. Acai berries grow on acai palm tree which is natively on the Amazon river in South America. Since these trees need rain-forest conditions, Brazil and surrounding countries are pretty much the places where acai berries are cultivated. Although Acai is a berry, unlike a blueberry or grapes, you can’t munch on acai berries as the seed itself takes up about 80-90% of the berry. Basically, quite a significant amount of work has to be done before we can consume this. (That explains the price!) Since Acai berries can spoil really fast, they are mostly sold in frozen or powder form. Plenty just like all other berries. Acai berries are rich in antioxidants which is a great thing as a diet rich in antioxidants has been linked to contributing to the effects of aging and many different types of diseases. I have been purchasing Acai bowls via UberEATS and every single bowl cost me almost $20, inclusive of a $3 delivery charge. I wish I could eat this at least 5 times in a week but that would mean I would be $100 poorer by each passing week. I don’t even want to get started as to how much that is going to cost me in a year. Making my own acai bowls have been on my mind for months as it is more economical and I can keep switching up the toppings. Finally, I got down to doing it and Boy, I am glad! I guess I’ll save the $20 Acai Bowls for special occasions when I’m feeling lazy. These bowls are the perfect way to start your day and they also double as an energy-packed lunch on busy days. 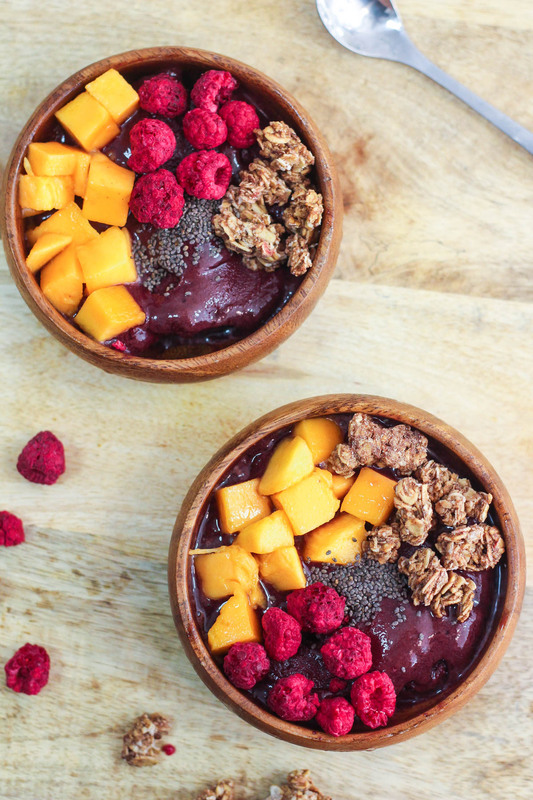 Besides being loaded with tons of antioxidants which are supposed to be great for overall health, Acai bowls are fun to eat too, especially once they are loaded up with all your favorite toppings as the options for that are endless. The beauty of these bowls is that you can basically make them, however the heck you want to. Use whatever you have in the freezer. Strawberries? Sure. Blueberries? Why not! Raspberries? Go for it! A mix of berries? Even better! Truth to be told, Acai Berry Bowls doesn’t have to be eaten for breakfast only as these are also great as a mid-day snack. More than often when it is hot, I crave for a bowl of something cold and soothing and this is the perfect magnetic pull to my cravings. 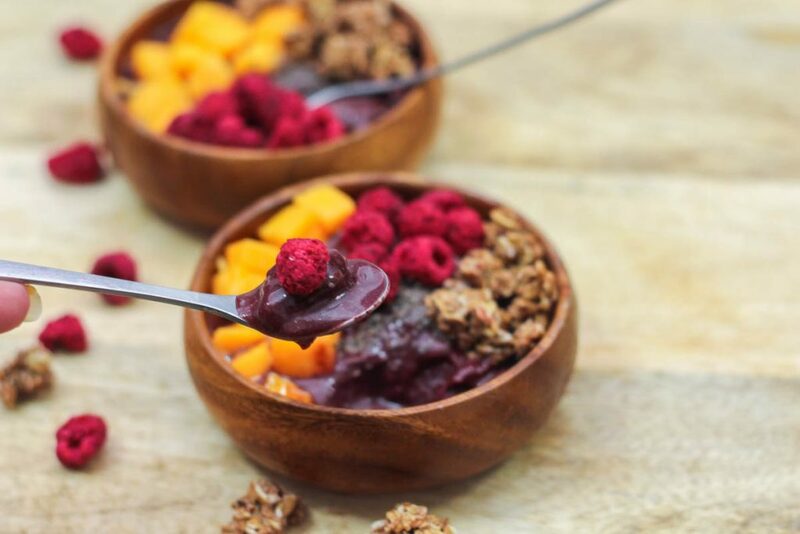 Do give this Acai Berry Bowl Recipe a try people. Easy peasy and best of all, you can pile it with your favorite toppings. Break up the frozen acai berries into chunks. In a blender add ½ cup of the milk followed by everything else. Blend until smooth. Add more milk if required. 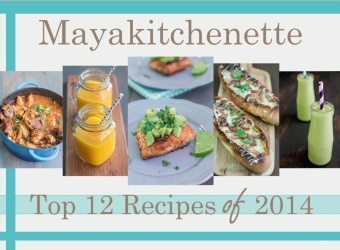 Pour into 2 bowls and top with your desired toppings.